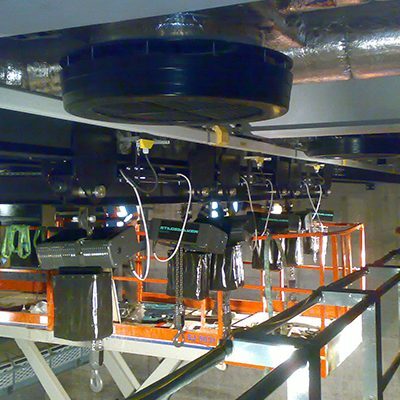 A lifting solution to support raising, lowering and tracking three technical bridges up and down within the main theatre auditorium. 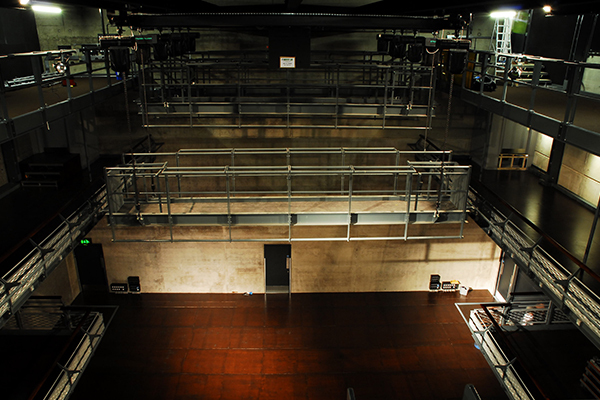 With a system such as this installed above an audience, safety was paramount. 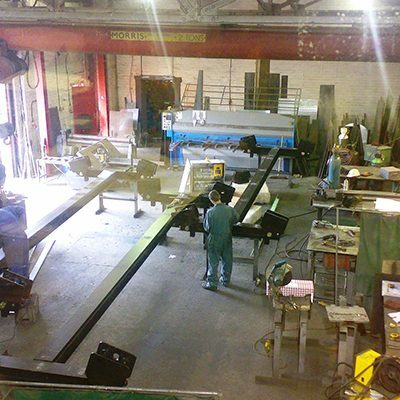 Each hoist has a very high safety factor and each carriage was fitted with an anti-collision system making it impossible for anyone, even the least experienced technician, to run a carriage into another carriage on the same track. 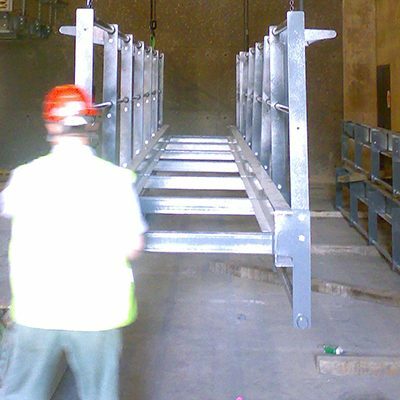 We also took into consideration the possibility that carriages could skew and lock on the running track so to mitigate this risk we fitted each carriage with articulated trolleys. 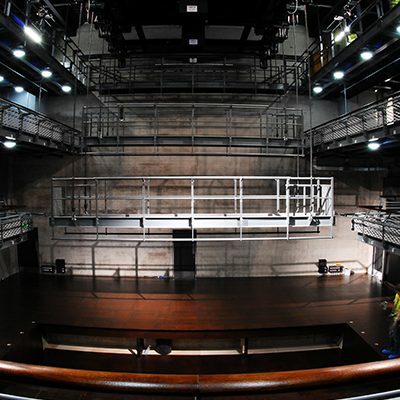 Working with The ES Group to support their design and build contract for the New Belgrade Theatre, Hoist UK commissioned, supplied, installed and tested a robust lifting system of three powered lifting carriages capable of raising, lowering and tracking three technical bridges up and down within their new fully flexible theatre auditorium, known as B2. 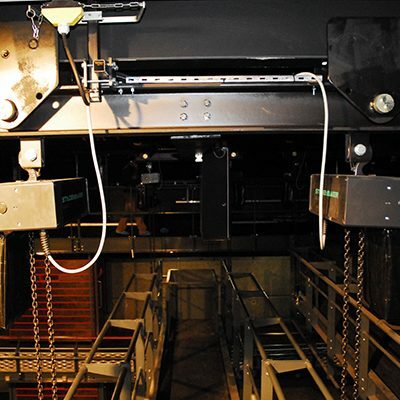 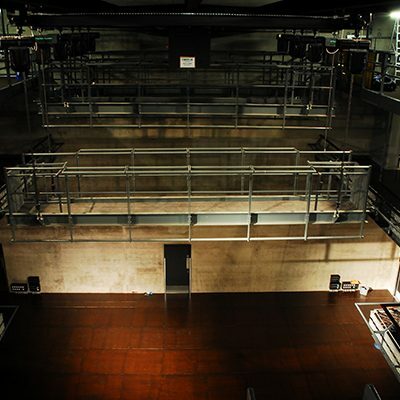 Each bridge tracking unit runs on the two steel runway beams mounted in the roof of the theatre and all three units are powered with a single totally enclosed and finger safe power feed system. 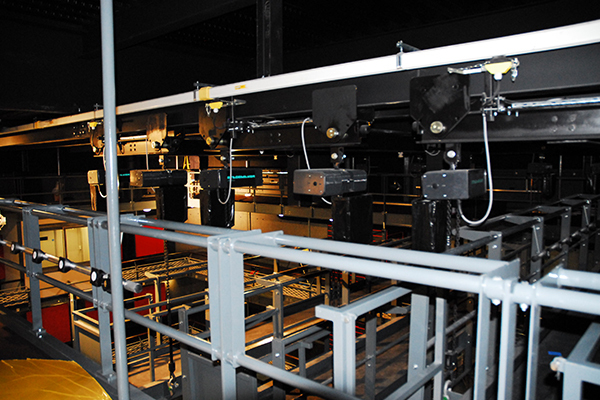 The bridge tracking carriages span 9.2 metres across the theatre and run the complete length to give lifting coverage anywhere within the theatre when using the technical bridges. 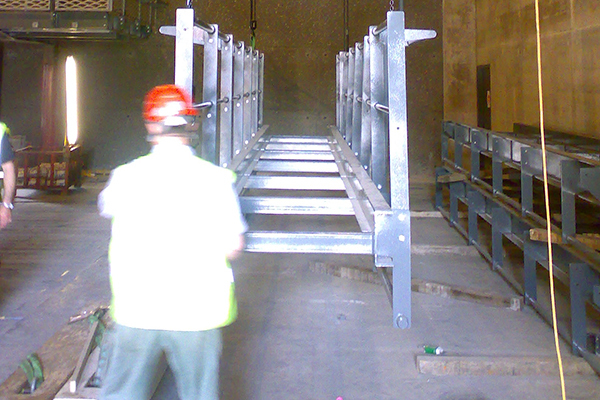 that the unit does not skew and lock on the running tracks. 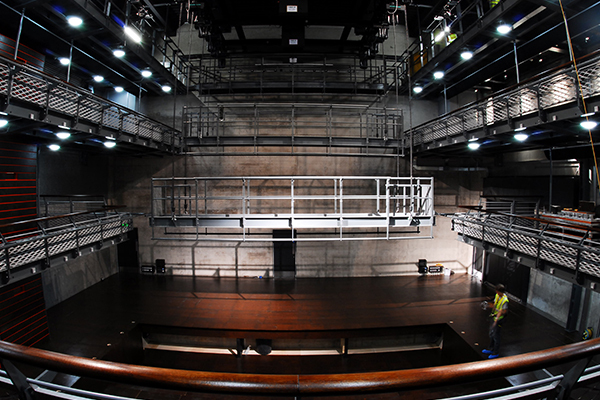 All units were supplied in a matt black finish and so disappear into a darkened area of the roof above the audience where they operate. 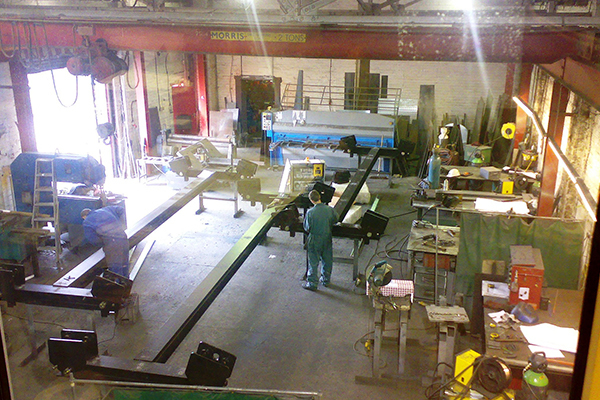 The electrics on board the unit are simple and do not use complex encoders or inverter systems are required to keep the units square on tracks and synchronised on either side on the venue with control of the tracking using our radio control system with each unit having its own control handset. 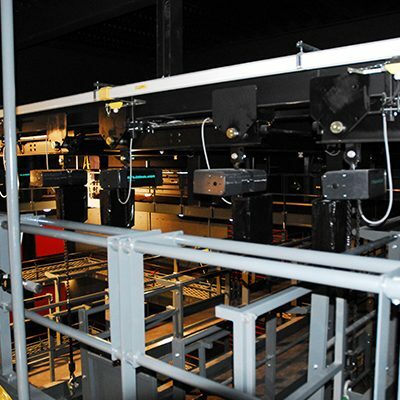 The system operator can stand anywhere inside the auditorium and fly any or all of the carriages up, down, forward and back within the auditorium. 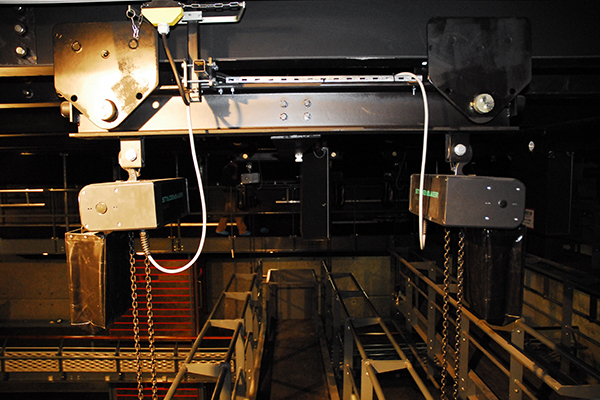 With a system like this being installed above the audience safety was paramount and apart from the high level of safety in each hoist, each carriage was fitted with an anti-collision system making it impossible for anyone, even the least experienced technician, to run a carriage into another carriage on the same track. 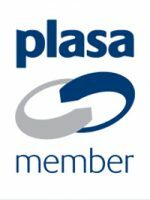 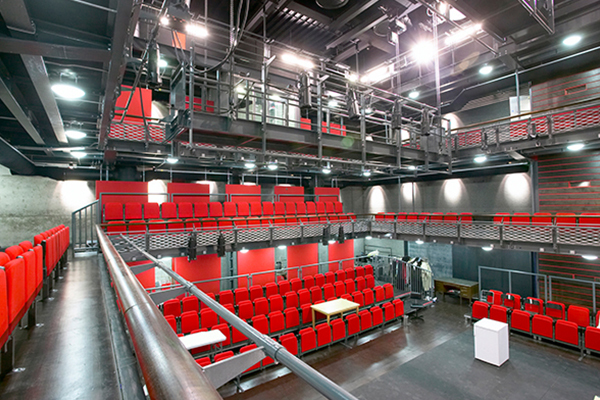 "We have extensive experience in the entertainment industry, particularly lifting solutions within theatre settings and our team enjoyed working with The ES Group on this project as it was part of a wider theatre regeneration initiative within the Belgrade and we contributed to an excellent end result. 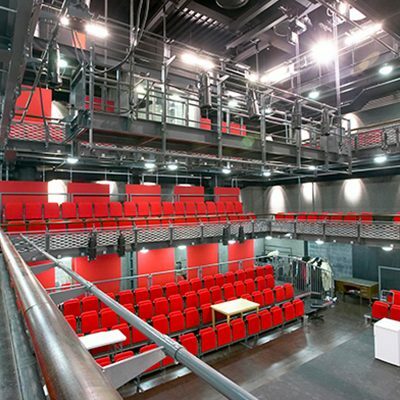 We had a clear brief of what the theatre were looking to achieve and the technical team at Hoist UK commissioned the necessary components for the solution to bring this vision to reality. 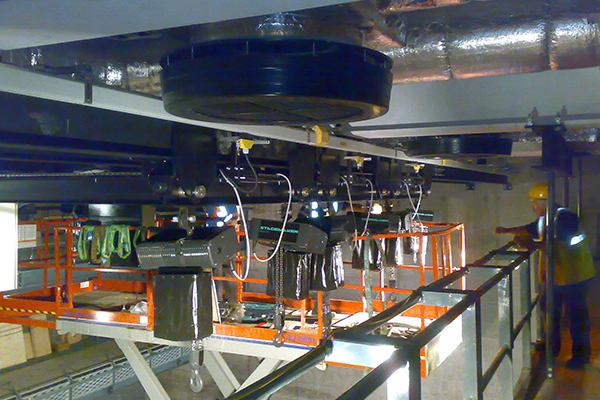 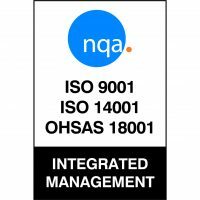 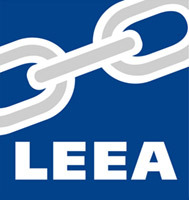 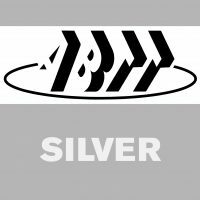 Once commissioned and supplied our electro-mechanical engineers installed and rigorously tested the lifting system."